It's not always easy to stay on top of your finances, but according to aHarris Poll study, there's one money question that stumps the vast majority of millennials: What is your net worth? Researchers found that a whopping 73% of people ages 18 to 34 had no clue what assets they have versus what they owe—a total shock to money expert Stefanie O'Connell. "[It's] kind of crazy when you consider that your net worth is the single most comprehensive metric for tracking your financial health," she says in a post on her site. 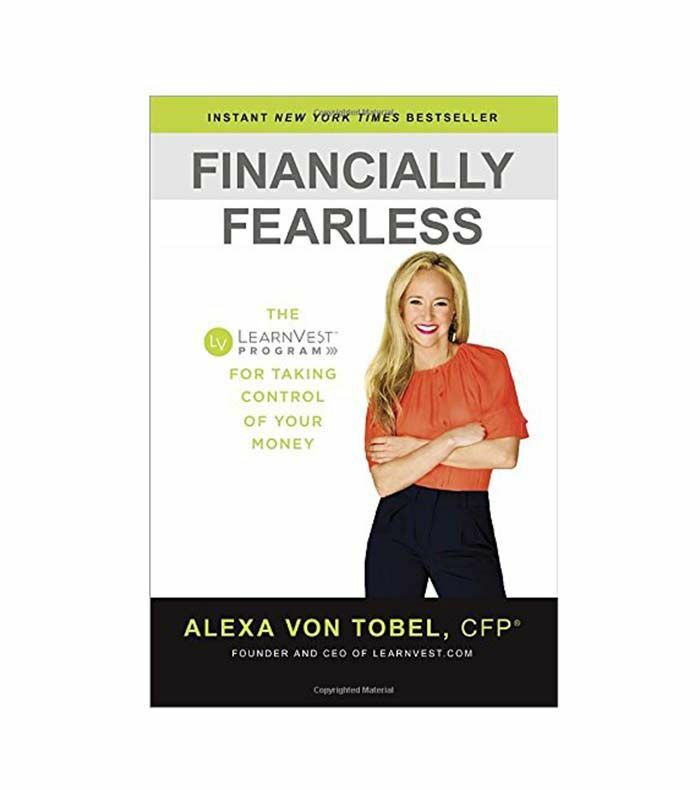 Alexa von Tobel, founder and CEO of LearnVest, says it's an important stat to know, even if you don't consider yourself wealthy. "There's a net worth misconception. When people hear the term, they tend to picture billionaires, but in reality, it doesn't have to do with being wealthy—it has to do with tracking your financial health." So what actually is net worth, how do you tally yours, and, most importantly, why does it actually matter? We tapped von Tobel to demystify this crucial money metric. What Is Net Worth and Why Does It Matter? Put simply, net worth is your total assets, minus liabilities. It is a simplified figure that offers a snapshot of your overall financial health. "Knowing your net worth is the big-picture number that can tell you where you stand financially," says von Tobel. "If you're tracking your net worth, you can see the progress you're making toward your financial goals. It can also serve as a warning if you're not meeting goals so you can then adjust and adapt your financial plans as needed. " Follow this simple equation to figure out your net worth: assets - debt = net worth. Assets include money in your bank accounts, investments, and the current value of any big-ticket items you own, such as a car and house. Debt includes student loans, car payments, credit card debt, and mortgages. Here's how it works: If Ashley has $50,000 in savings and $20,000 in investments, her total assets equate to $70,000. If her debt totals $30,000, her net worth is $40,000. Now that you know your net worth, it's only natural to wonder how yours stacks up against others. Is there such thing as a good or bad net worth figure? "It's all relative, so what qualifies as a 'good' net worth for one person will be totally different for someone else," von Tobel clarifies. Just be clear about your goal. "The most important thing is to be aware of your current financial health and work toward a positive net worth." If you're still paying off student debt, chances are your net worth will be a negative number—but don't be dismayed. "That isn't necessarily a bad thing, as long as you're making progress to work steadily to the black rather than accruing more debt," she says. In the last two decades, the average student loan debt has risen by nearly $19,000, while average earnings are in decline, so negative net worth is becoming more common. Thankfully, managing net worth is a long-term game. "A general rule of thumb that everyone should strive for is to be debt-free by retirement," says von Tobel. What's important now is to know your financial stats and create a game plan to pay down debt and increase assets. If your debt outweighs assets, that's okay—as long as you start taking steps to close the gap. "The first step is to prioritize debt reduction over savings rather than thinking of it as an even 50/50 split," explains von Tobel. The next step is to prioritize which debts to pay off first. Yes, apparently there is a debt hierarchy. "Let's say you have student loan debt and credit card debt. In general, your student loans have much lower interest rates than your credit cards, so it's important to work toward paying off your credit card debt first," she explains. "This doesn't just mean making the minimum monthly payments but living within your means to work toward paying off your credit card in full." For many, she says this will involve scrutinizing your daily spending habits and reassessing your priorities. "Paying off debt should always come before your lifestyle choices. This means that each month you should make your debt payments before you think about spending money on anything that's not a necessity." "1. A cash diet: Allow yourself to spend only a certain amount of cash every week. When you're out of that cash, you're done spending for the week. No matter if your net worth is positive or negative, the most important thing is developing a clear financial plan and tracking your progress. With small, realistic steps and a shift in spending habits, it's possible to afford the life you want to live.